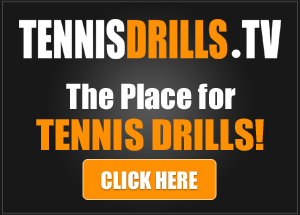 Master Professional Jorge Capestany gives his tips on how to improve your serve. 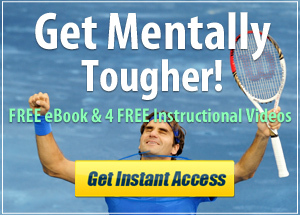 Very helpful video, but how can you the most of a weak serve? The obvious answer is to make it stronger, but this takes time. Is there any way that a server can take advantage of those opponents who like to stand very near to the service line when receiving a serve? Dear Coach, I just happened to come across your website and am really happy that I did. In quickly viewing a few of your videos, I found them all to be helpful and especially appreciated your helpful way of teaching – i.e. simple and easy to understand, yet very, very helpful and encouraging. Being 71 years young, yo-yoing up and down at the 3.0-3.5 level wanting to improve to 4.0, my inconsistency, predicated to a certain extent from all the different on-line instructions come across and try, I think has created much confusion in my mind as to what is really best for me. I’ve always liked the idea of “smooth and easy, easy and smooth (with minimal moving parts), that’s the way to always move” – so, I’m sure I will be visiting your site and videos often. Thank you. Thanks Robert… I’m glad you found us! Jorge and Martie, I believe your videos are helping me, tremendously! I work on my serves every chance I get. Thanks for your helpful suggestions! and at opponent (ABC). My teams sometimes get bored hitting serves as they’d rather have a cardio workout doing drills. Isolating the player’s weakness serving to the specific target area will give them more confidence serving in their matches. Love this, I have a dedicated wheelchair student that likes to practice his serves, and will introduce this sequence to him. Practice with purpose! Perfect practice makes perfect! Thanks for the excellent reminder, Coach! I also like the variation of adding a game where students try to hit each area in order and count the number of serves it takes to get one in each. Perfect score would be 6. I probably stole this one from you too! We have adults and Jr’s at the club. All need more service practice. As an 80yr. old, I do a very similar thing only, I prefer doing just 40 balls 10 in each of the 4 corners. 1-3-4-6 using flats and spins. I do this just before I do my ball machine work outs. Either way I think is very good. Helpful, yes. I find that nothing whatsoever improves my game like service practice. I also wrote down ritual, as I have lots of trouble with my service toss – rushing myself.